Founded in 1977 Leek Arts Festival began as a week-long celebration of the local arts scene with just a handful of events. Over the years it has expanded to nearly six weeks – it now runs from the end of April to the beginning of June each year – and features anything between 30 and 40 events including national and internationally-known artists. 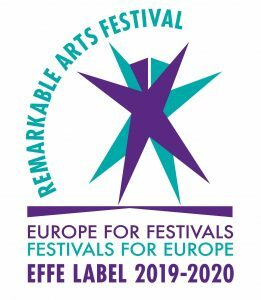 Leek Arts Festival works as an umbrella organisation to foster and support local groups and individuals, but also brings big name performers to the town. The festival committee organises a series of core events – star names in the recent years have included Ralph McTell, Mike Harding, Barbara Dickson, Richard Digance, The Travelling Band, Jeremy Hardy, Fairport Convention etc – and offers advice and support to local groups and individuals who want to stage their own events as part of the overall festival programme. The result is a satisfying mix of local and national/international talent, all happening over six weeks in a small market town with a population of just 20,000 people. Many events, including the festival committee’s own ‘core’ activities, take place at Leek’s Foxlowe Arts Centre. The committee is extremely grateful to the Foxlowe trustees and volunteers for their continued support and generous assistance.